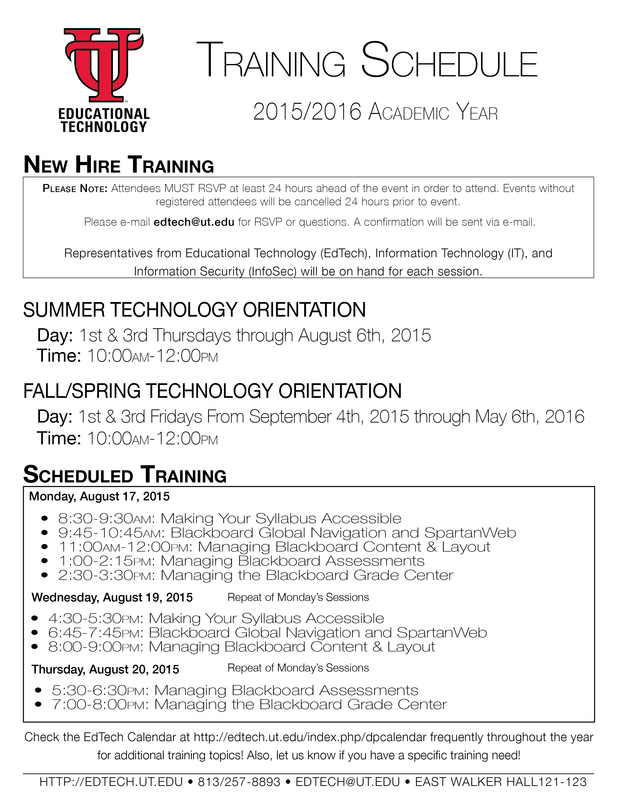 EdTech Training Flyer Revised – Fredrick W. Baker III, Ph.D.
Fredrick W. Baker III, Ph.D. 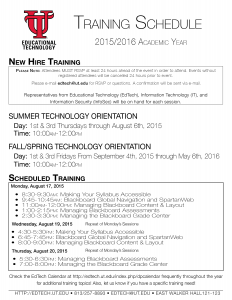 I modified the last flyer based on some feedback, and replaced my logo with one approved for use by the University. I also removed a few lines, centered the document, and increased the white space to reduce cognitive load. Overall, I like the revised version and think it looks fairly clean. Copyright © 2019 Fredrick W. Baker III, Ph.D.